THERE IS no, as yet, the full implementation of Russia’s agreement with Turkey over the de-escalation zone in Syria’s Idlib. This was told to Interfax news agency by a Kremlin spokesperson. 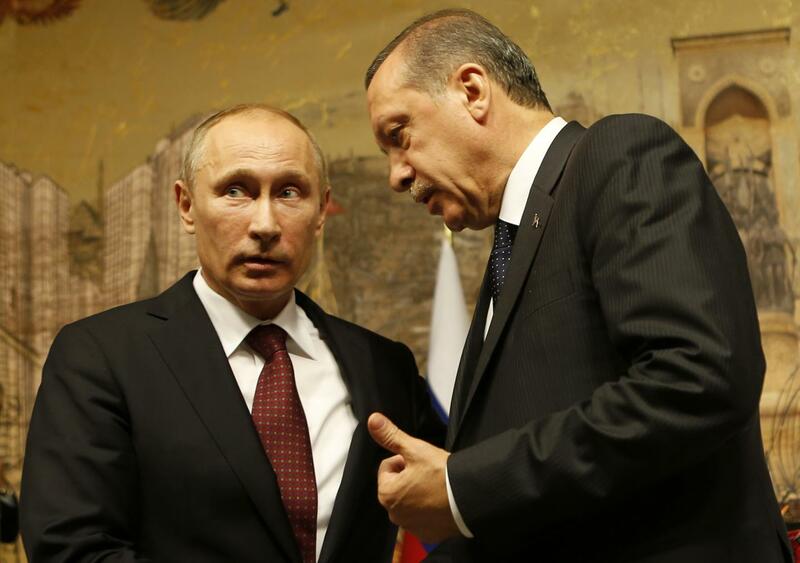 Ankara and Moscow brought forward the proposal some time back to create a de-escalation zone in the region. Turkish President Recep Tayyip Erdogan visited Moscow last week, to discuss with his Russian counterpart Vladimir Putin necessary steps to be taken. Russia said the situation in the northwestern city of Idlib has been deteriorating and it was widely dominated by Nusra militants, an insurgent group previously associated with al-Qaeda, but has since broken away. Putin suggests Damascus should regain control of the territories in the wake of a planned US withdrawal. He has called on the Syrian government and Turkey to negotiate security concerns along shared borders. Russia is backing Syria’s government, however, it strongly denounces Turkey’s military presence in the north of Syria and aims Assad regime to gain full control over the region. Damascus called on Turkey to withdraw its troops last week, and end its support for armed opposition groups. The two countries aim to revive a two-decade-old bilateral security agreement. The call came after Ankara had claimed the Adana treaty signed in 1998 gave it the “right” to deploy troops in Syria and push out People’s Protection Units (YPG) that Turkey labels as a terrorist organisation. The deal was to instruct Damascus to stop being in the same bed with the outlawed Kurdistan Worker’s Party (PKK), who have been at war with the Turkish state for decades. “Syria remains committed to this accord and all the agreements relating to fighting terror in all its forms by the two countries,” said a foreign ministry statement published by Syrian media. Ankara, seeing YPG as an extension of PKK, vows to “clear” Kurdish fighters along its border. Syria did not mention how it would deal with the American-backed Kurdish militia. The YPG has established a Kurdish-led authority in northern and eastern Syria during the civil war that broke out in 2011. The group is seeking a dialogue with Damascus to safeguard its autonomous region, following the withdrawal of US troops.